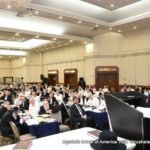 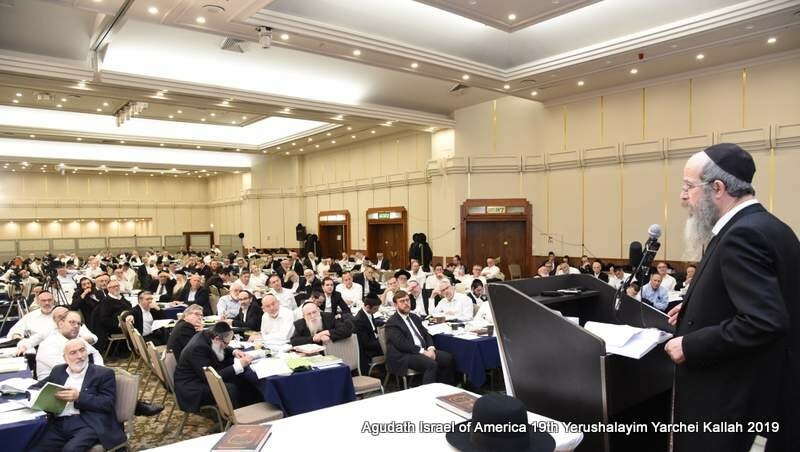 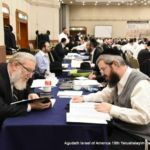 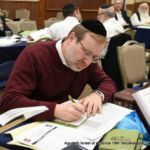 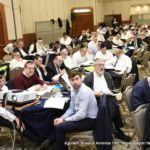 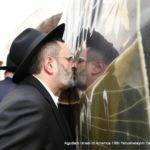 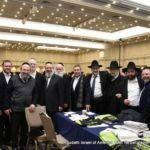 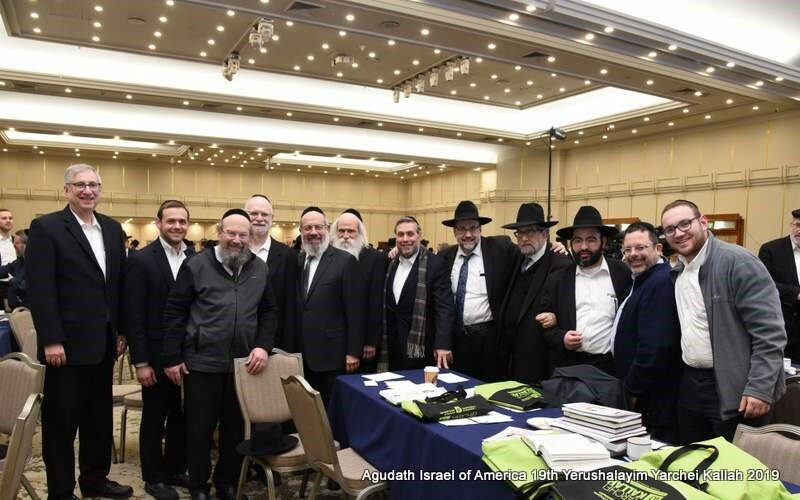 The symphony of Torah that has uplifted and inspired more than 500 participants at Agudath Israel of America’s annual Yarchei Kallah concluded in an exhilarating crescendo of learning last Thursday, leaving participants eagerly looking ahead to taking their places next winter in the Yarchei Kallah beis medrash. 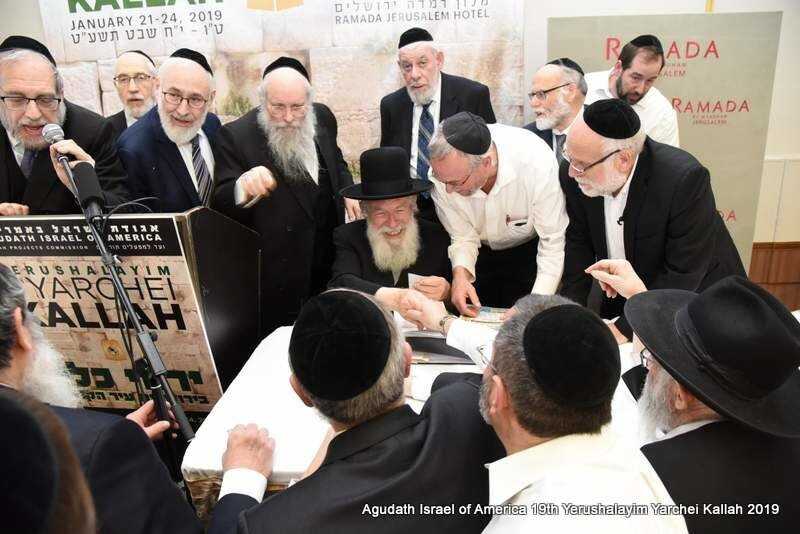 As with every previous day, the morning began with Shachris at the Kosel or the Yarchei Kallah hotel and Daf Yomi shiurim, given on Thursday in Yiddish by HaRav Naftoli Gefen, Magid Shiur, Kaminetzer Yeshiva, Yerushalayim, and in English by HaRav Amitay Bendavid, mechaber of Sefer Sichas Chulin. 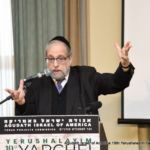 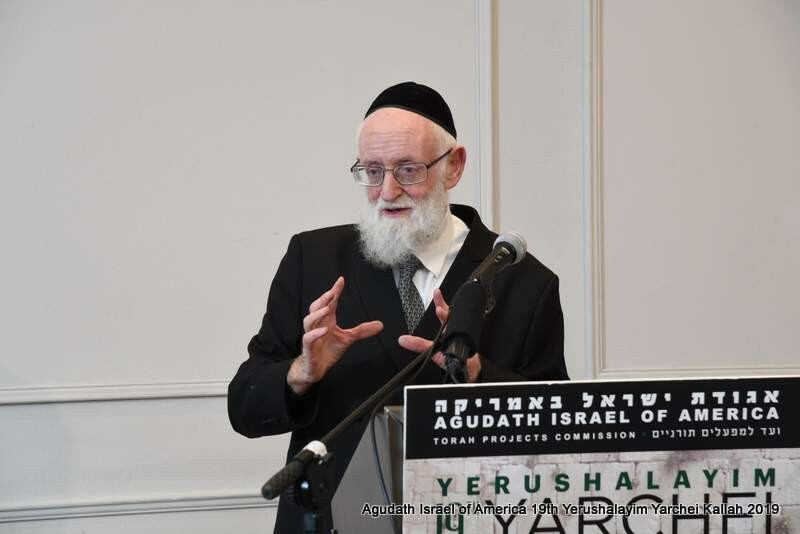 Also fixed in the Yarchei Kallah program were morning and afternoon hachanah sessions for the shiurei iyun, a preparatory shiur given by Rabbi Shlomo Gottesman, editor of Yeshurun and co-chair of the Yarchei Kallah, and a chazarah shiur offered by Rabbi Shlomo Cynamon, Rav, Khal Bnai Torah, Flatbush. 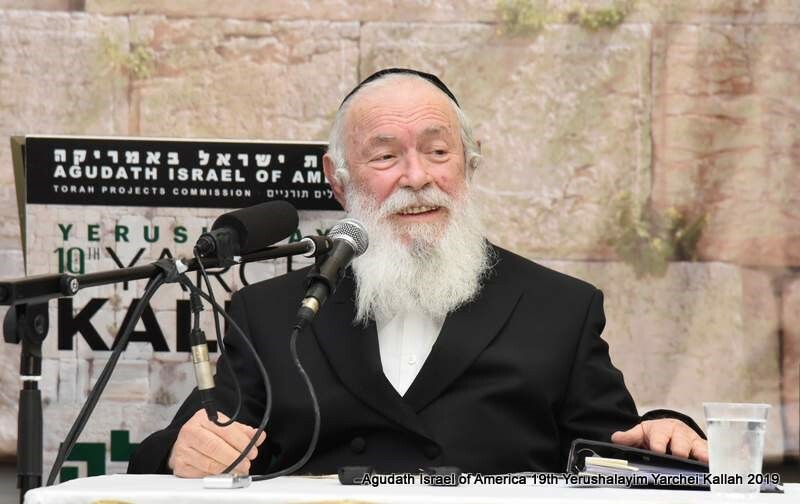 HaRav Chaim Peretz Berman, Rosh Yeshiva, Ponovez, enthralled listeners at the morning’s Yiddish shiur with a discourse on the parameters of pas akum and bishul akum. 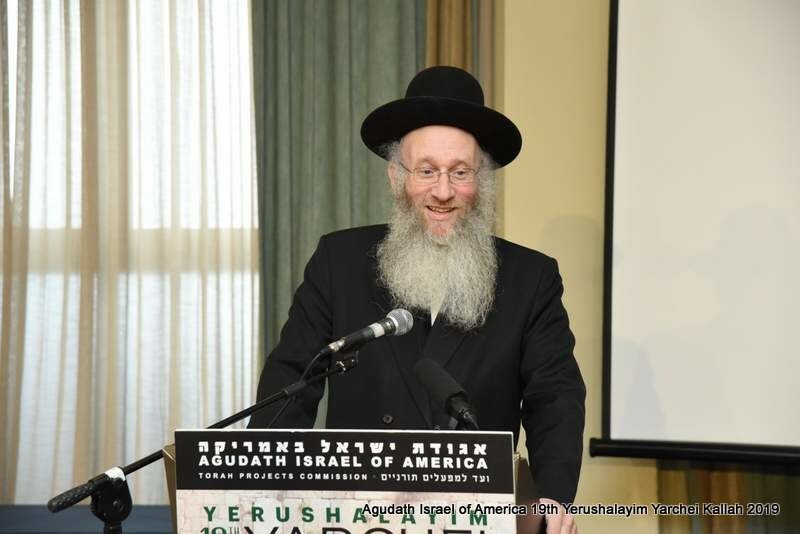 Addressing the English shiur, HaRav Aryeh Dunner, Rav, Khal Divrei Shiur, Bnei Brak, employed his trademark wit to deliver a mesmerizing presentation on the concept of oleh al shulchan melachim and how evolving food trends can impact a particular food’s status regarding bishul akum. 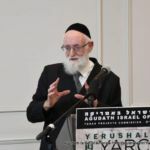 Rav Dunner also brought up the topic of lifnei iver and understanding the implications of doing something that might create halachic problems related to pas akum or bishul akum for others. 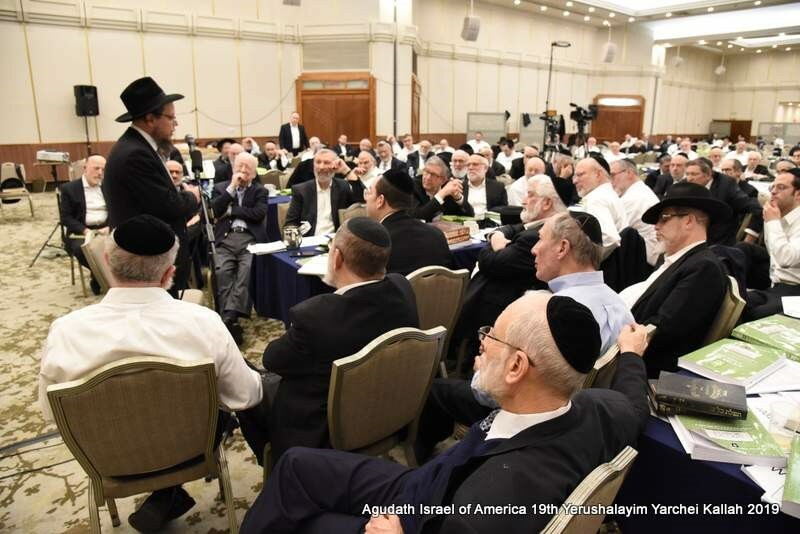 An afternoon shiur had HaRav Yitzchok Zilberstein, Rosh Kollel, Bais Dovid, Cholon, Rav, Ramat Elchanan, Bnei Brak, sharing numerous fascinating stories, demonstrating how each one could be analyzed through a halachic lens despite their complexity, often resulting in unexpected conclusions. 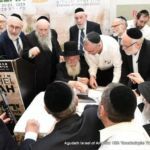 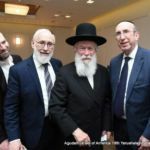 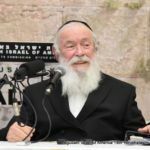 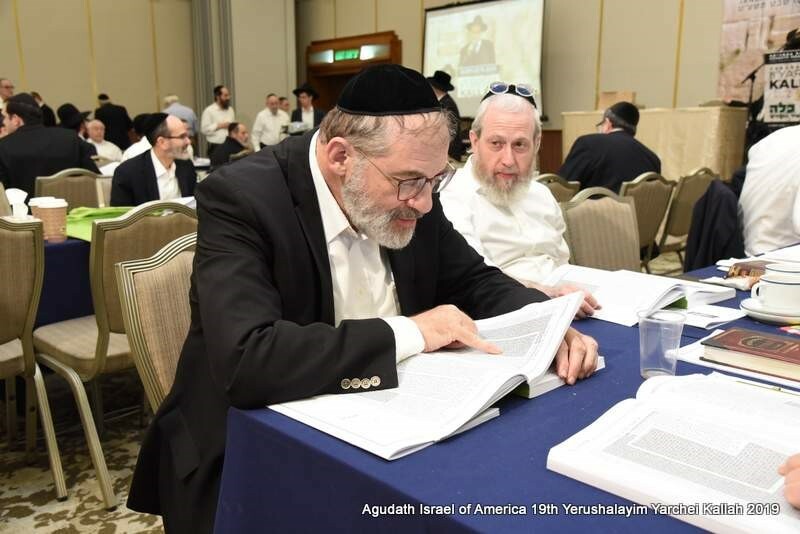 HaRav Pinchos Breuer, Rosh HaYeshiva, Knesses Eliyahu, a highly respected Agudah rav who is held in equal regard in Eretz Yisroel and the US, inspired participants in an English shiur that further clarified the halachos of yayin nesech and delved into the halachic ramifications that can occur when foods are changed through the cooking process. 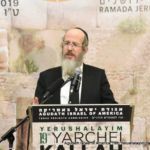 The final shiur of the Yarchei Kallah featured HaRav Shraga Kallus, Rav Khal Imrei Pi, Ramat Shlomo and Rosh Kollel, Machon L’Horaah L’Rabbonim, taking listeners on a walk through wine country, explaining the importance of truly understanding the halachas of yayin nesech instead of unnecessarily refraining from permitted items. 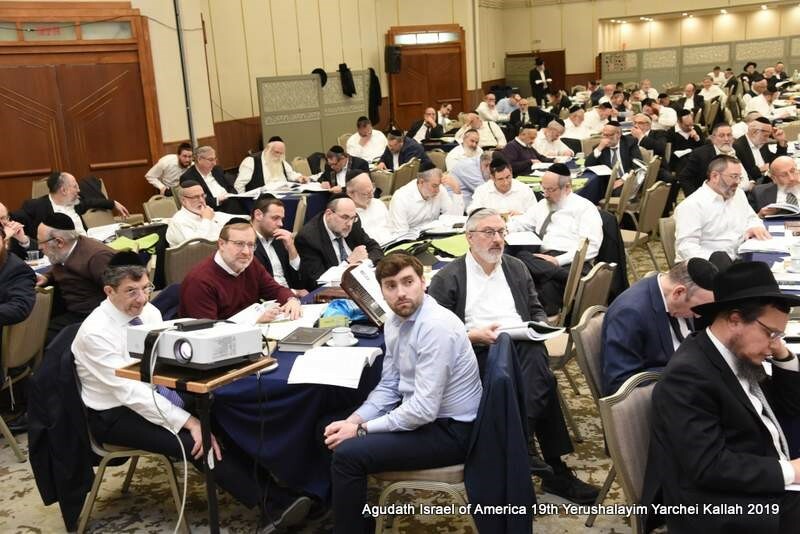 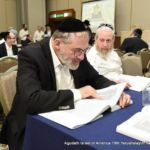 Rav Kallus applauded participants for their diligent efforts throughout the entire week, noting that they had experienced incredible siyata dishmaya, mastering topics that normally take weeks and even months to learn in just four days. 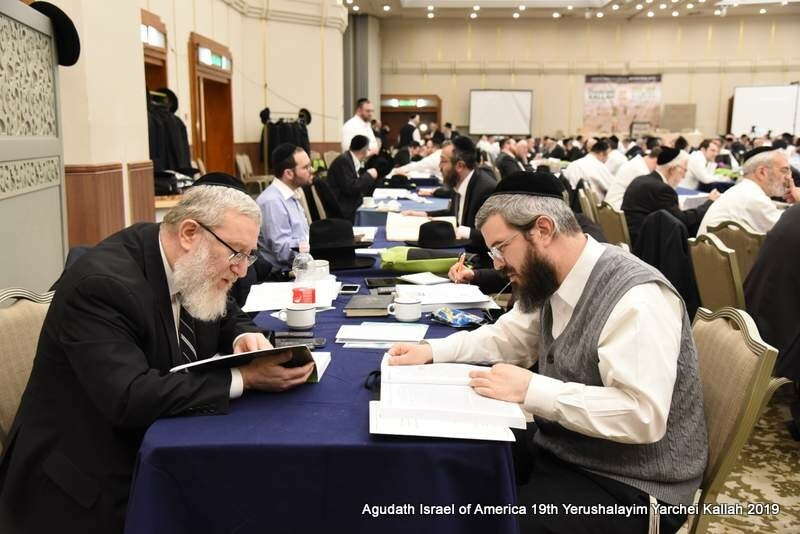 The day also included a post-Mincha siyum by Rabbi Mordechai Shapiro for the Monday evening teleconference chaburah that has had approximately 50 people toiling in the vineyards of Torah for many months throughout the year in preparation for the Yarchei Kallah. 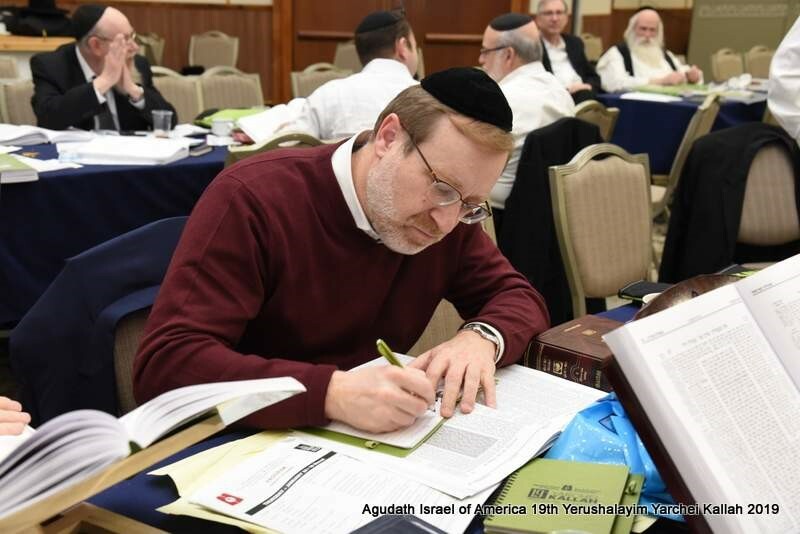 It was a thought provoking day for the women’s group, who began their program with a shiur by Rabbanit Yemima Mizrachi on overcoming adversity, encouraging listeners to tap into their inner strength to weather personal challenges with equilibrium, balance, and simchah. 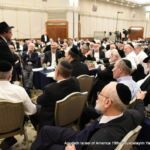 The program also included a presentation honoring Mrs. Debby Jacobs for her efforts towards having the Yarchei Kallah flow seamlessly. 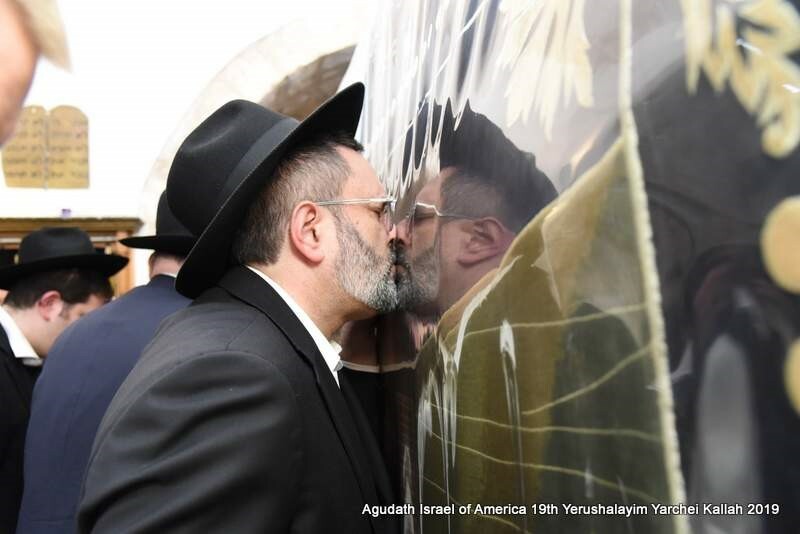 Wrapping up the women’s itinerary was an extraordinary visit to the Israel Children’s Museum in Holon, where participants experienced one of three highly popular exhibits offering profound insight into the lives of the blind, the deaf, and the elderly. 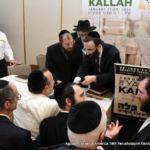 Maariv, the last tefillah of the Yarchei Kallah, was followed by a joyous tzeischem l’shalom buffet. 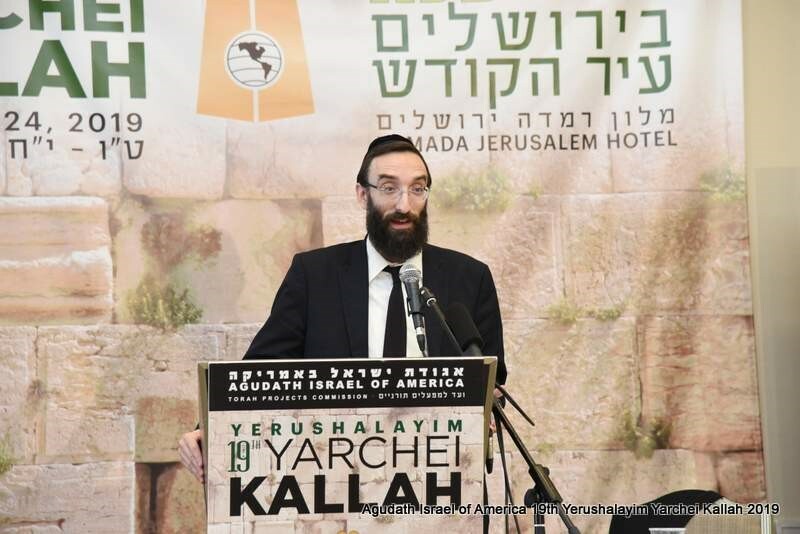 Exuberant participants were buoyed by a sense of accomplishment after their intense week of study and, as they parted amid warm wishes and promises to continue their learning, left eager to return home and share their enthusiasm for the Yarchei Kallah experience. 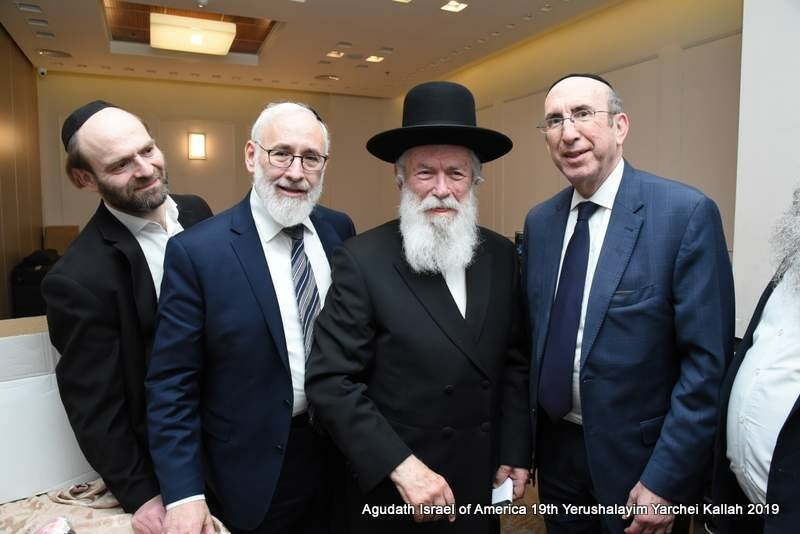 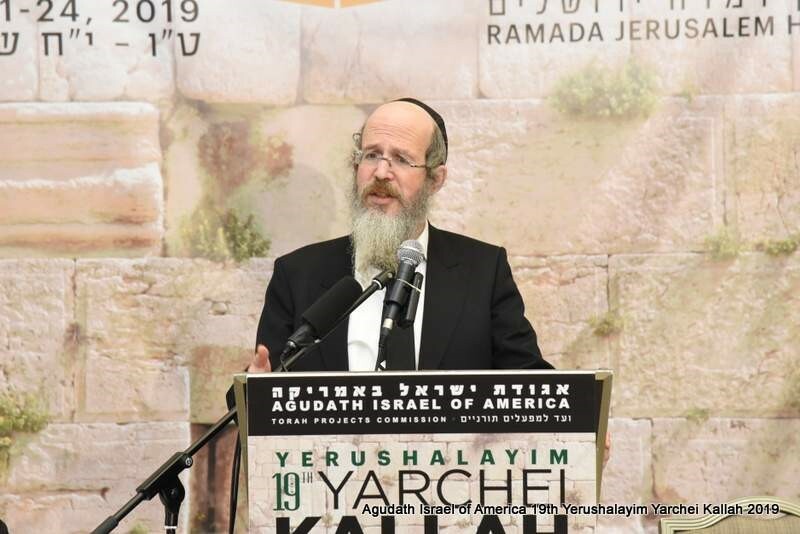 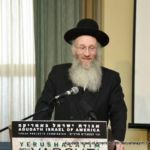 Rabbi Gedaliah Weinberger, chairman of the Yarchei Kallah and the Agudah’s Daf Yomi Commission, expressed his hakaras hatov to the many people involved in the extensive program including Rabbi Shlomo Gottesman, Yarchei Kallah co-chairman, Rabbi Shlomo Gertzulin, executive vice president for finance and administration for the Agudah, Rabbi Labish Becker, executive director of the Agudah, Rabbi Avraham Nisan Perl, chairman of the Agudah’s Commission on Torah Projects, Rabbi Eliyahu Simcha Bamberger, national director of the Agudah’s Daf Yomi Commission, and Mrs. Debby Jacobs, executive assistant at the Agudah. 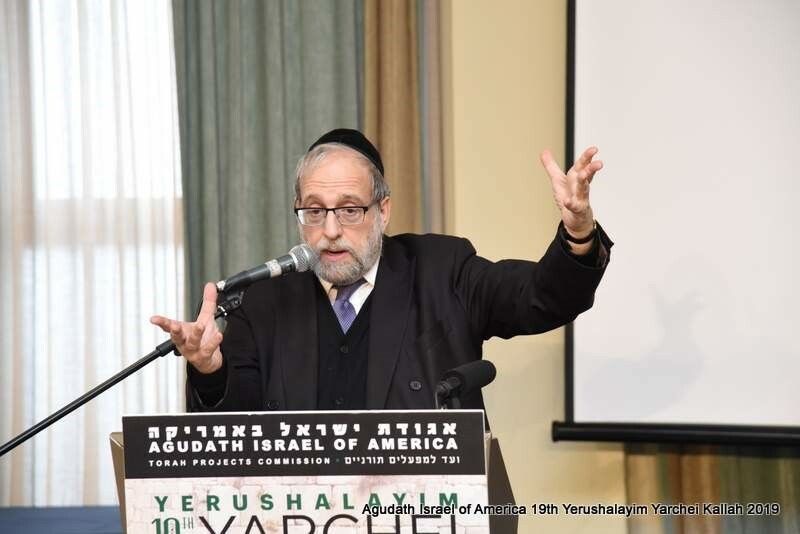 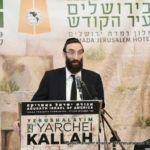 Rabbi Weinberger said that he has been overwhelmed by the positive feedback that he has received from the Yarchei Kallah’s participants. 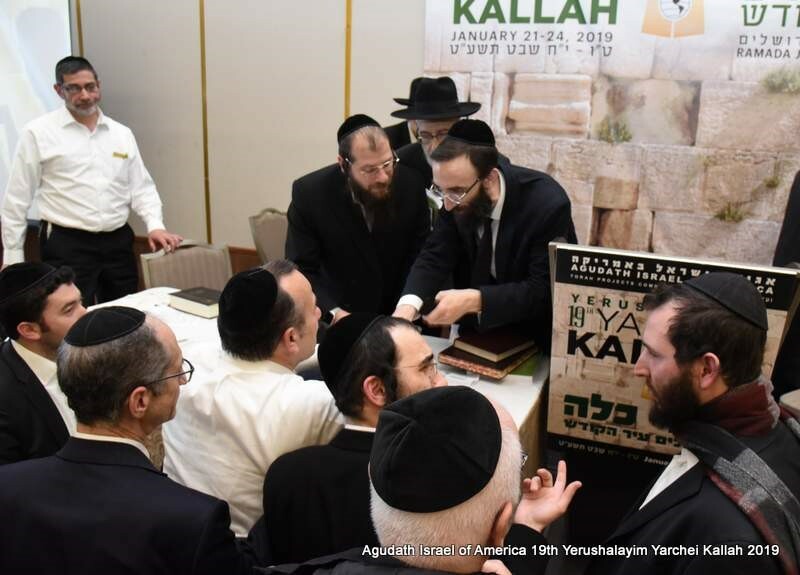 Visit the Yerushalayim Yarchei Kallah website at www.aiayk.org for a full gallery of videotaped shiurim, downloadable audio and photos.